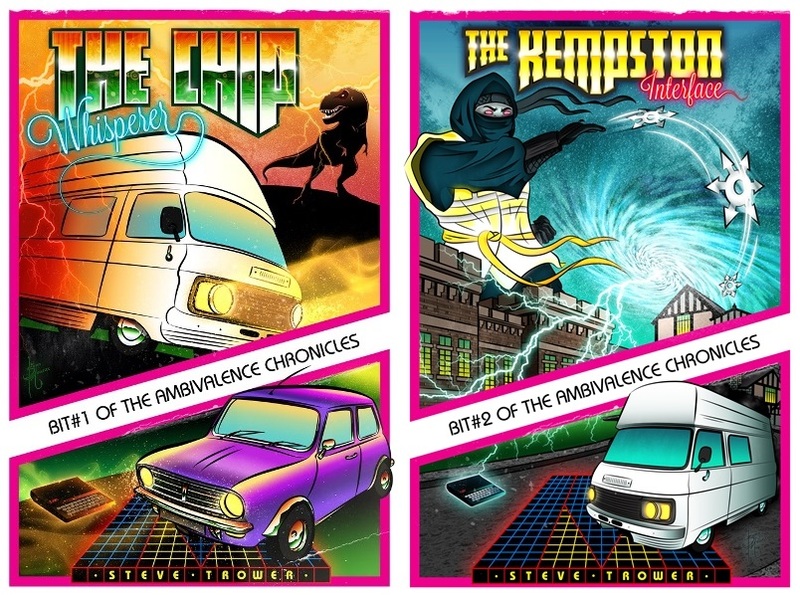 It’s an age-old question: where can I find retrogaming inspired fiction featuring a sentient ZX81 and a hi-vis ninja? Well, thankfully, a Sinclair reviewer of this parish Steve Trower, has provided the answer: in The Ambivalence Chronicles - a Sci-Fi Comedy in 8 Bits. The retrogaming action has moved forward a generation this time, as our heroes are joined by Gary, a ninja who seems to have inexplicably failed the auditions for Saboteur! - the game which, along with its sequel, provided inspiration for the story. The Kempston Interface will set you back just 99p (or local equivalent); you can also download The Ballad of Matthew Smith free from your ebook vendor of choice.